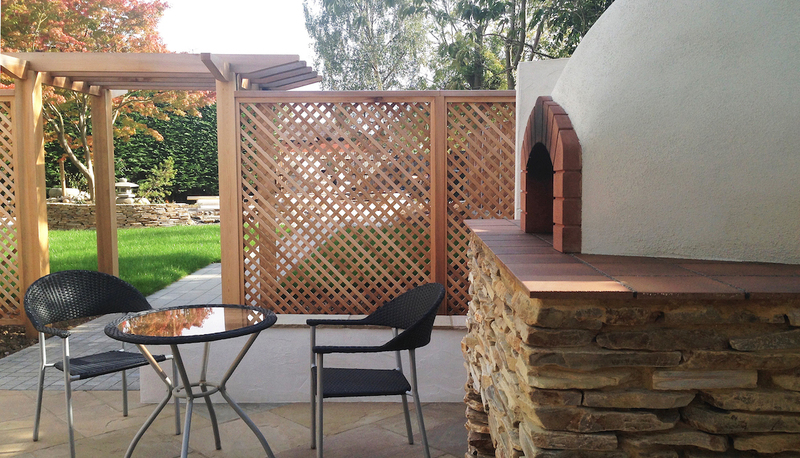 We were inspired to create this design by the layout of the plot. The garden wraps around the house, lending itself to zoning into different ‘rooms’. 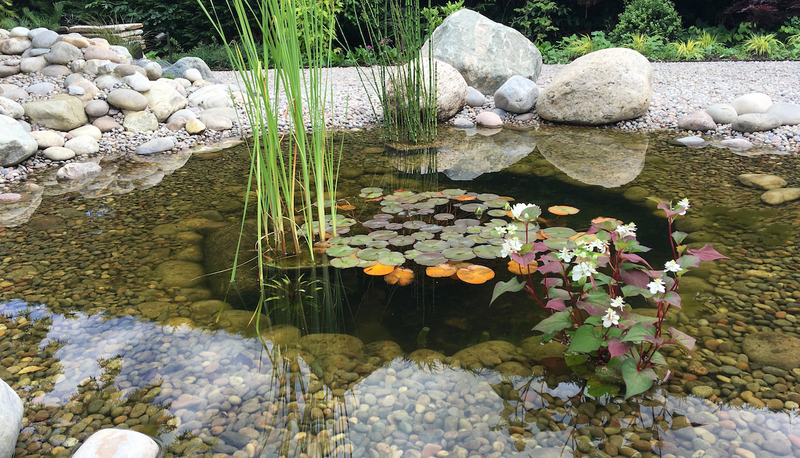 As a keen gardener, the client had created a diverse plant list so we grouped the plants into themes of style and habitat. Following these themes, we divided the garden into distinct areas, which provide different views from each window. 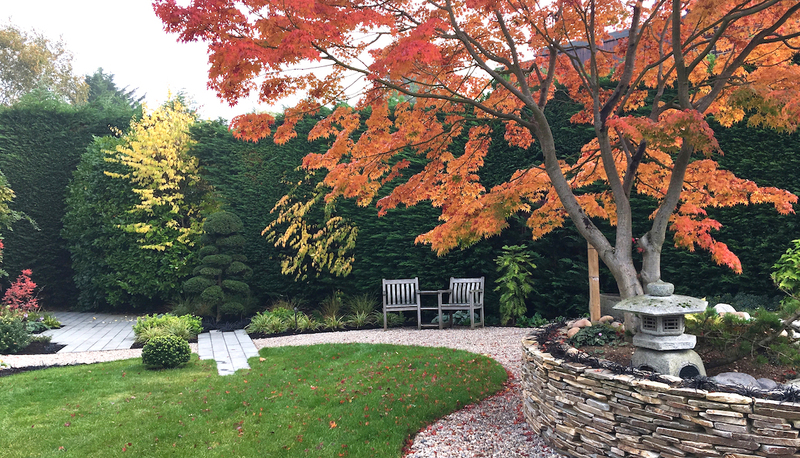 The garden had a beautiful mature Acer which inspired the Japanese garden design we went on to create. Here you find a mature characterful olive tree and bespoke pizza oven surrounded by Lavender, Italian Cyprus, Verbena, Salvia, Sedums and grasses. 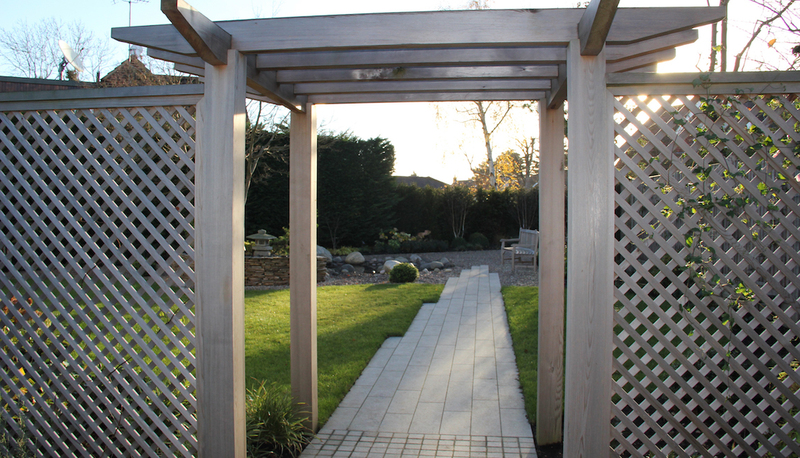 Bespoke cedar pergolas and trellis provide screening and lead to other areas of the garden. This area show cases the existing stunning Acer which is surrounded by a low curved quartz paddle-stone wall. 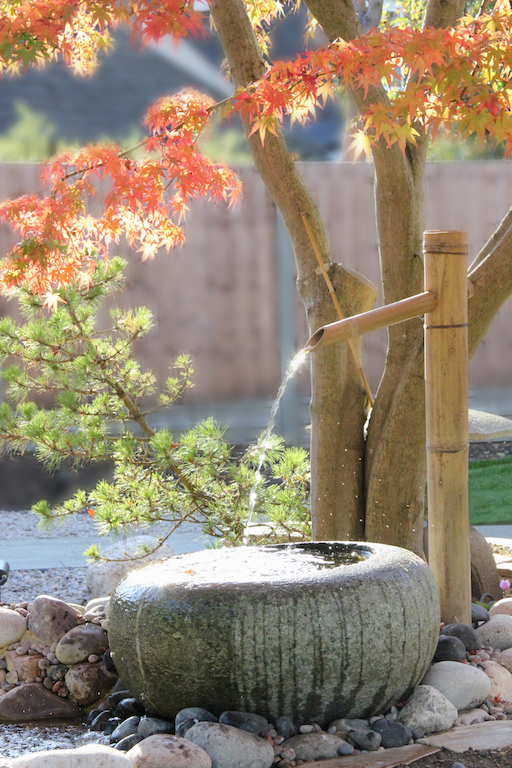 Water falls gently from a bamboo water spout into a traditional Japanese granite water basin, which in turn, gently overflows to a small babbling stream, leading to a circular pebble pool. Other features include a magnificent cloud pruned tree, under-planted with evergreen Carex, and the black grass, Ophiopogon. 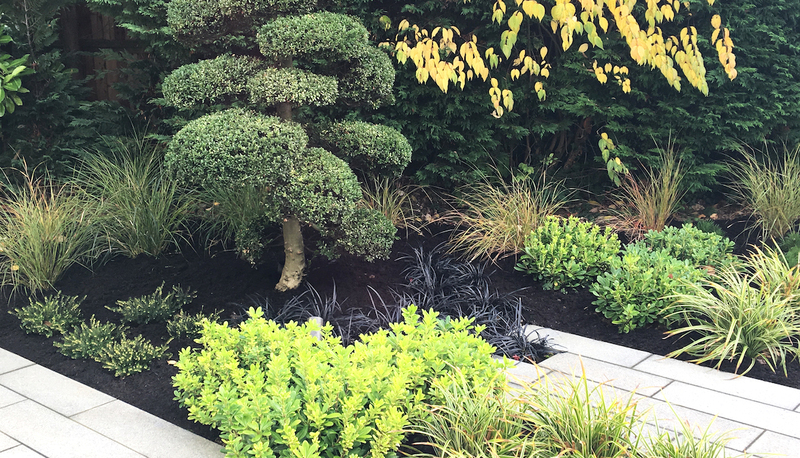 We created a predominantly green and white planting scheme, including Japanese Anemones, Hydrangeas, grasses and ferns. The woodland garden leads you from the front gravel driveway to the rear gardens. 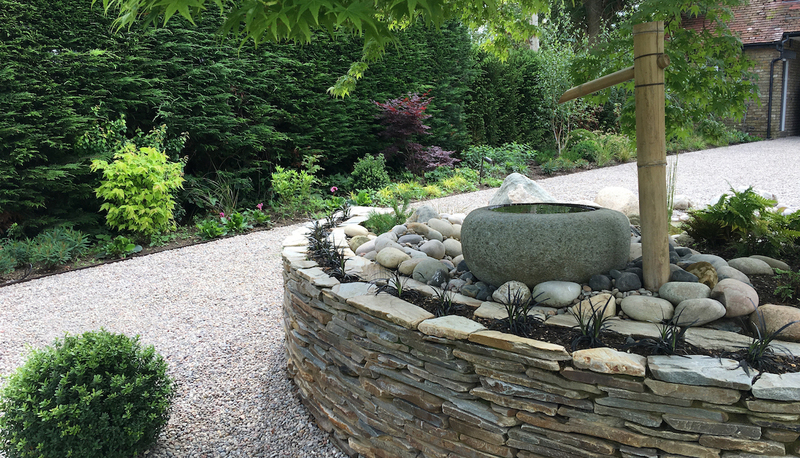 Here, we underplanted multi-stemmed Himalayan Birch trees with animated groups of large box balls, ferns, Hellebores and other shade loving plants flank the gravel path. We linked the various areas by the use of materials, including granite plank paving and gravel.